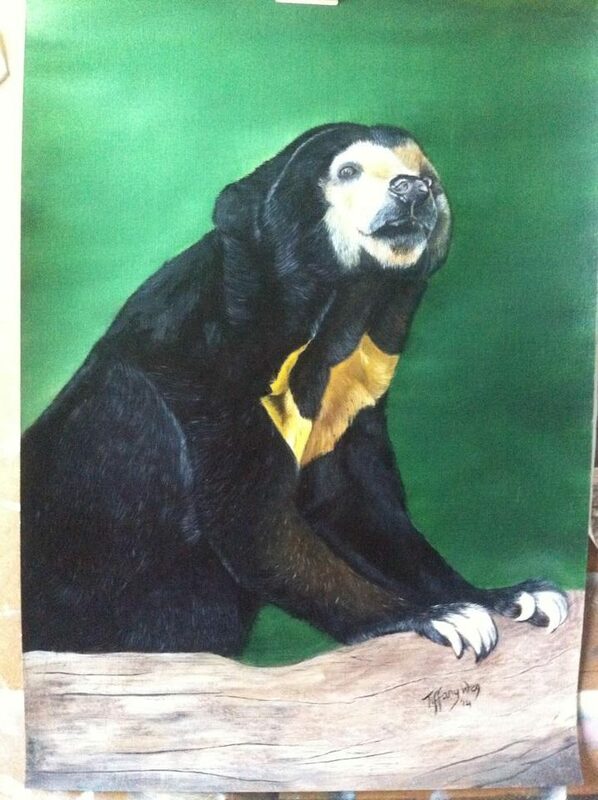 A talented and inspired UK animal Artist fell in love with the Bears in Borneo and painted a beautiful oil on canvas Sun Bear. 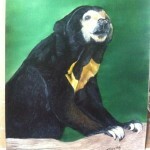 All sale proceeds going to Sun Bear Outreach. 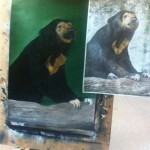 Tiffany Wey (tiffanyweyfineart.co.uk) felt a deep desire to support the work of Sun Bear Outreach and improve the quality of life of the bears within their care. 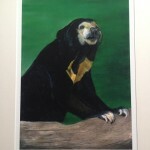 The painting has been made into a limited number of 50 prints and we have them available for sale. 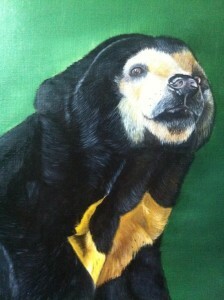 As all print costs have also been donated, 100% of the proceeds will go directly to the Bears. 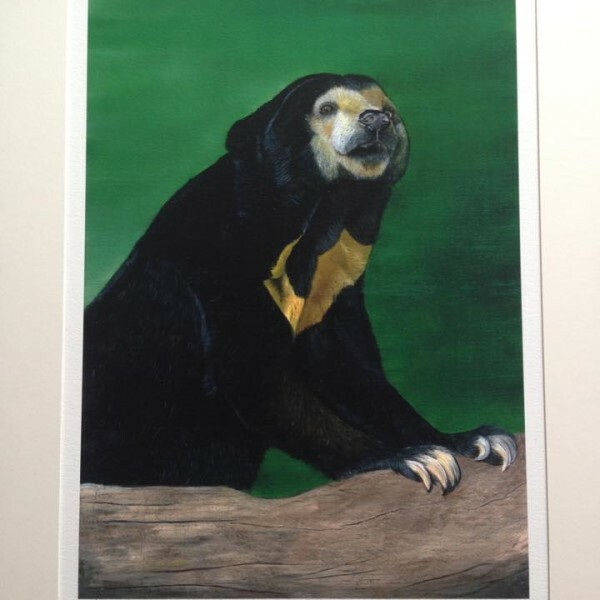 The print is £60 and shipping costs are dependent on the delivery destination, and please email for information on how to order one of these prints. 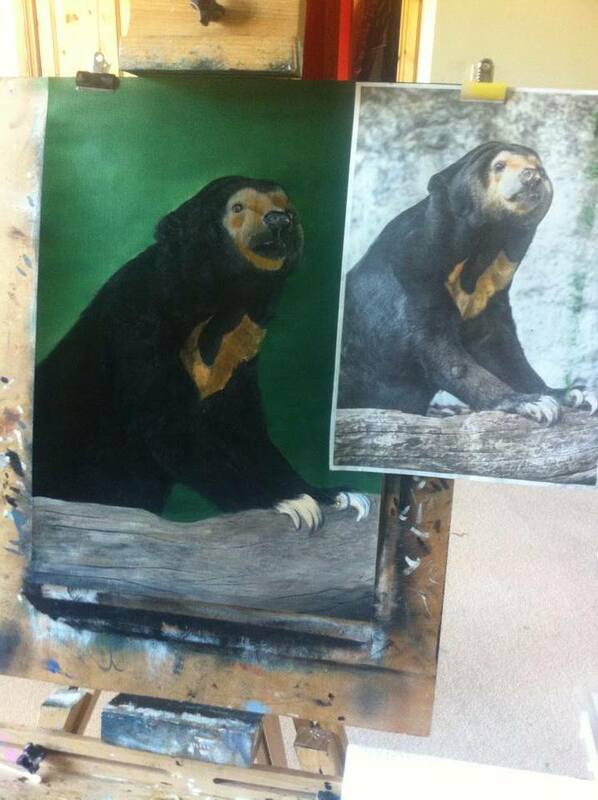 The print dimensions are W40.6cm x L50.8cm x D.4cm and are set in a border ready for framing.